Continuing the conversation begun with our Autumnal Equinox : Herbs for Balance blog, we've created three recipes that feature herbs that we find resonate with the energies of the Autumnal Equinox including Hawthorn (Crataegus monogyna), Skullcap (Scutellaria lateriflora), and Horsetail (Equisetum arven). Make sure to read about these three herbal allies on our original Autumnal Equinox blog post. For our Hawthorn recipe, our Blah Buster Brew fits the bill. A remedy for those days when the drearies descend upon the heart and mind (which can often happen when we realize that not only is summer truly over, but we might not be ready yet for the cold of the year), the Blah Buster Brew features Hawthorn flower, leaf, and berry along with soothing nervines and brain-tickling beauties to uplift the spirit and shoo the Blah-Beast from your door. Come this way to learn how to make your own Blah Buster Brew. Skullcap is an Apothecary favorite and one of our dear green allies. The wise Skullcap tells us to slow down. If you are someone who worries that they are not getting enough done, you probably need to slow down instead of trying to put more on your plate (a common imbalance that many folks experience in during the Autumn of the year). If you are someone who never stops moving, you probably need to slow down. Seriously. If you are seeking to reconnect to your body, pulling your focus from your head into your roots, try slowing down first. 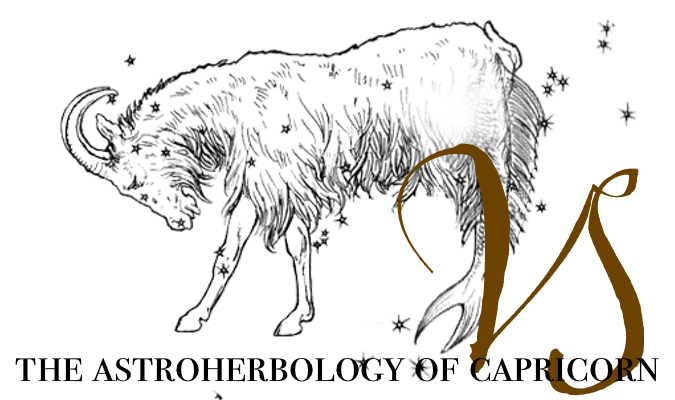 For our Skullcap recipe we have created a nourishing, nervine extract with a Saturnian foundation for you to enjoy. As the Autumnal Equinox is also a time of the apple harvest, we've included fresh apples into our brew as well as apple cider vinegar. We call the brew Switch because it helps you to switch off, slow down, and be present. Cover them, with 1/4 - 1/2 inch of additional menstruum floating above it, with 2 parts alcohol to 1 part of raw apple cider vinegar. To make the blend alcohol free substitute simply use only apple cider vinegar as your menstruum. As an added bonus add a few drops of Elm Flower Essence to the finished blend. Let the blend brew for at least one cycle of the Moon, shaking it daily. When ready, strain out the plant material and bottle. Enjoy 5 - 10 drops a day. 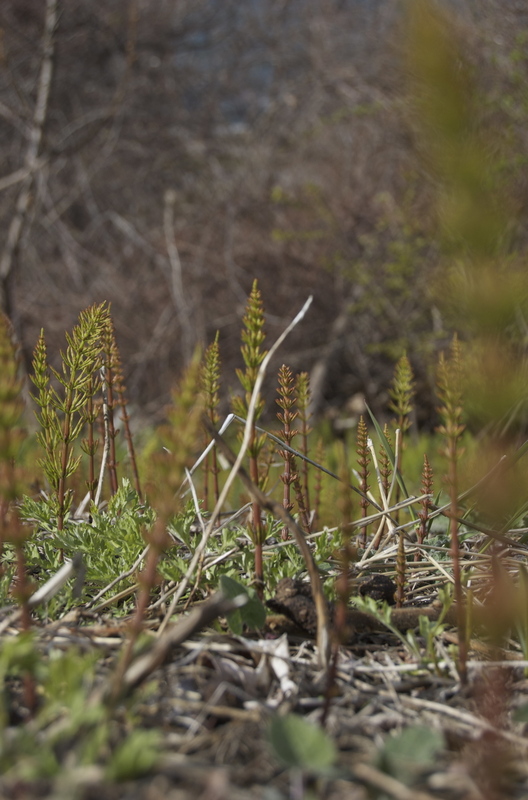 Horsetail is dinosaur medicine. Thinking of old plants and our ancient planet, I think of our how star-life emerged from the waters of our ocean planet so long ago, it makes sense that we should submerge ourselves in the healing qualities of Horsetail in via an herbal bath. Herbal baths are like giant teacups of spa-ness and are an incredibly enjoyable and easy way to incorporate herbal healing into our daily lives. Since Horsetail is so rich in silica it creates a skin restorative blend to nourish our cells and create a radiant appearance. Begin by decocting your Horsetail. In a soup pot I bring a generous handful of herb to boil, then allowing it to simmer for 3 - 5 hours. While the herb is simmering, prepare the salt by grinding it up in your mortal and pestle, preferably while singing songs of the sacred bounty of the sea. For every one part of sea salt add three parts of epsom salts. You will want 1 - 3 cups of salts for your bath. Add 10 drops of essential oils to your salts and mix well, letting the salt sit in a sealed container to let fragrance blossom as your Horsetail continues to simmer. I think a combination Cypress, Juniper, and Lavender are a lovely scent for this time of the year. Draw your bath and when the Horsetail decoction is ready, strain out the plant material and add the Horsetail infusion to your bath water. Add 1 - 3 cups of your salt blend to the bath as well, stirring the waters until the salt dissolves. Relax and enjoy your bath! Splashing around like a dinosaur is optional. Blessed Autumn Equinox! Enjoy the darkening year, clever friends!